In a world where your smile says it all and is the first thing that people notice about you, your wanting to make sure your smile is at its best. A healthy smile with gleaming teeth can do wonders for your confidence and help you smile even more. 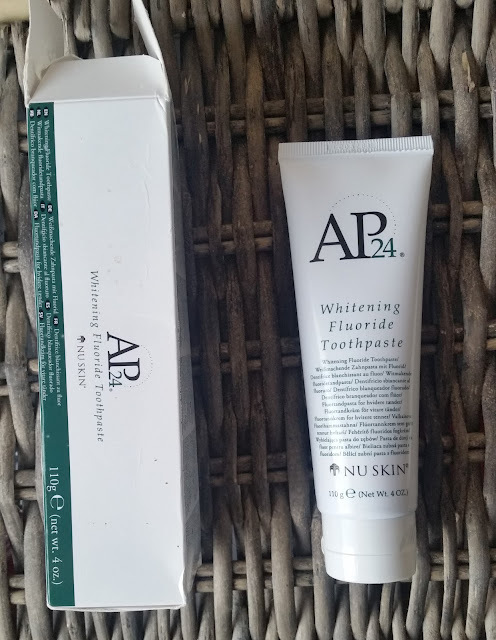 The AP-24 Whitening Fluoride Toothpaste not only fights plague and helps to prevent cavities but also helps to brighten and whiten your smile. Some toothpastes contain a percentage of peroxide to help whiten teeth but that is not so great if you suffer with sensitive teeth as those formulas will leave you in agony and wishing you never used it on your teeth. Some other formulas contain tiny sand particles that if you brush too hard and don't have a particular good brushing technique can be really abrasive on your teeth wearing the enamel down. Always ask your dentist on what brands to use as they will know your brushing technique from looking at your teeth. The AP-24 Whitening Fluoride Toothpaste features a special formula that contains NO HARMFUL PEROXIDES which is great for the sensitive teeth people and also contains Sodium Monofluorophosphate which is a source of fluoride. *Proprietary blend of hydrated silica and alumina (aluminum oxide) - a unique combination of mild abrasives that polishes and smoothes teeth without eroding enamel. *AP-24 a patented plaque-fighting agent of medical-grade dimethicone and surfacants. AP-24 is a long chain that can wrap around teeth and hold tightly to leave your mouth feeling slicker and fresher longer. *Sodium monofluorophosphate-approved form of flouride that can be used to fight cavities. Adults and children six years of age and older: Brush teeth thoroughly, brush after each meal or at least twice a day. Supervise children as necessary until capable of using without supervision. Children under two consult a dentist or physician. Warning: Keep out of reach of children under six years old. A stain reduction test was performed to determine the percent increase in tooth brightness. The whitening effects were measured brushing with toothpaste. 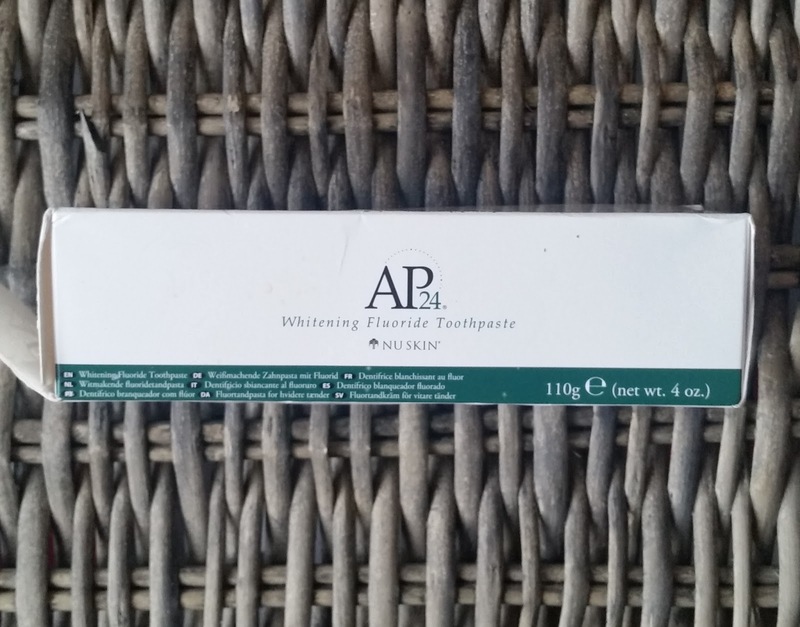 AP-24 whitening fluoride toothpaste resulted in a 63% increase in tooth brightness. The toothpaste is of white colour and feels really smooth around your mouth and teeth. The minty smell and sensation isn't too strong but enough for you to notice and freshen your breath. The whitening aspect of this toothpaste you will see when you are a regular user, DON'T expect the Hollywood white, just from one use. What i do love is how my teeth and whole mouth felt clean throughout the day and with regular use, your start to see results! Interested in this product or would like to explore nu skin's full range CLICK HERE and Diane will assist you. Happy brushing! X Neil.